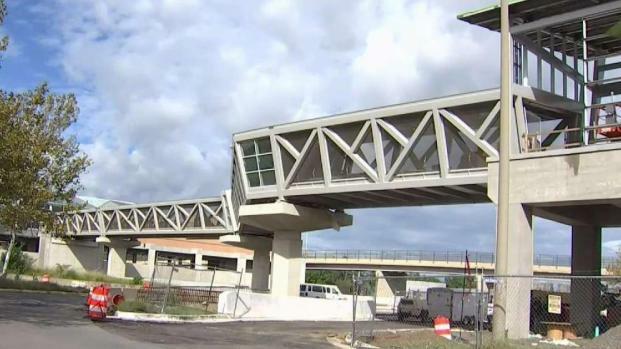 News4's Adam Tuss shows how new problems with concrete used on the Metro Silver Line project may delay the completion of the line. After major problems with concrete were found in the walls of new Metro stations and in rail ties for the Silver Line extension, hundreds of cracks have been found in a new rail yard. 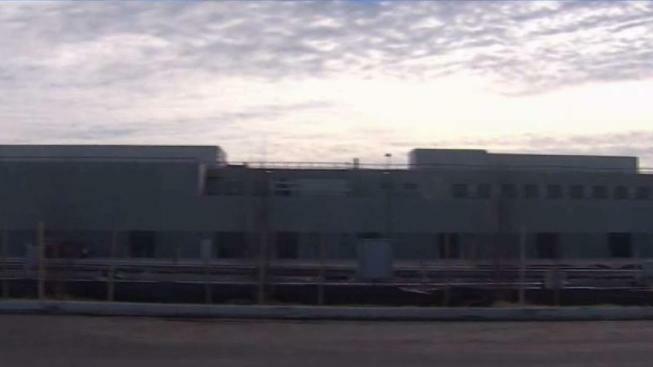 Nearly 300 cracks have formed in buildings at the new Metro facility that will house and maintain railcars for the Silver Line extension to Dulles Airport and Loudoun County, News4 has learned. In addition, the rail yard project, located on airport grounds, will be delayed because of significant construction and contract issues. That’s leading to concerns that the entire Silver Line project will face yet another setback. A delay to the $254 million rail yard’s opening could cause huge headaches. A delay likely would send transit leaders scrambling to figure out where trains for the entire Silver Line would start and end their days, where railcars would be maintained and where Metro personnel including train operators would report for work. There are potentially thousands of places where concrete will need to be fortified on Metro's Silver Line. Transportation Reporter Adam Tuss broke this story. The second phase of the Silver Line will run from Reston to Dulles and continue with two stops in Loudoun County. The first phase of the project opened in 2014, with five stops, from Falls Church, through Tysons Corner and ending in Reston. Metro tells News4 it will not be able to run trains on the new Silver Line segment without the rail yard being operational. When asked if the rail yard will open on time, Dulles Corridor Metrorail Project head Charles Stark told News4 it will not. "We have had a change in the opening date so far of at least 115 days," Stark said during an interview. The rail yard is expected to be the largest in the Metro system when it opens, holding and maintaining about 170 rail cars at a time. While the project eventually will be turned over to Metro, it is being built by the Metropolitan Washington Airports Authority (MWAA). Transportation Reporter Adam Tuss explains how Metro will have to monitor the Silver Line because of faulty concrete used in construction. Metro called the rail yard critical and necessary. "That’s why the extension and the yard get accepted at the same time. Metro will not be able to support rail service on the new segment without the yard," Metro spokeswoman Sherri Ly said in an email. Cracks have appeared in buildings throughout the Metro facility, and some are now marked by devices with levels to determine if there is any movement by the buildings. "Cracks, even hairline cracks, will allow water to get inside the panel and get to the reinforcing steel, which, if it rusts, can cause damage to the concrete panel," said Stark. "The contractor needs to fix it." A solution for the cracking is under review, but Silver Line leaders claim the panels were improperly installed along the foundation of the buildings. In addition to cracks in buildings, pavement in the rail yard is crumbling and "failing" in spots, and platforms for maintenance workers need safety changes, according to quality control reports. There is also a "buy America" issue with a number of cranes being used in the rail yard because some of the parts were made in Germany. All of these issues are creating tension between leaders for the Dulles Metro project and the contractor building the rail yard, Hensel Phelps, which is based in Chantilly. HP, as Dulles Metro leaders refer to Hensel Phelps, maintains that it is meeting the quality-control requirements of the project. "The Dulles Railyard and Maintenance Facility has experienced delays over the last four years created by circumstances outside of the control of Hensel Phelps, its design team and trade partners," spokesman William Thompson said in a statement. "Hensel Phelps and MWAA have been working together to mitigate these delays and complete the project. The project team is working towards completing the project in August 2019." Even after the entire Silver Line project reaches "substantial completion," Metro will have months to test it before accepting it as their own. 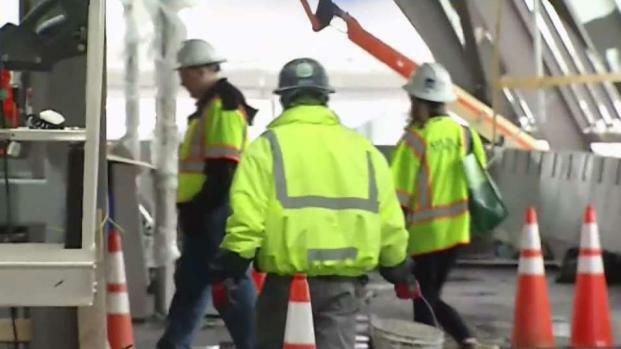 These problems are the latest in a line of setbacks for the Second Phase of the Silver Line, which will run from Reston to Dulles Airport, and continue into Loudoun County. The project already was delayed by about a year and a half because of design changes. It was originally scheduled to open to riders in 2018. Significant concrete flaws have been found throughout the project. Most recently, hundreds of concrete rail ties — which hold the rail in place — were called into question. Silver Line leaders say they are optimistic that the second phase of the project will open to riders in 2020. But they admit they will have to re-evaluate the timeline as the project advances. "Right now, we’ve got a while before we get to that point," Stark, the Dulles Corridor Metrorail Project head, said. "People are thinking about it now, but no decisions need to be made today." Testing of rail cars on the line is expected to begin in January.